Amman, Jordan, 2017-Dec-12 — /Travel PR News/ — Four Seasons Hotel Amman has appointed XAYA Design Atelier as the creative directors of the property’s lobby centrepiece and The Foyer Lounge. Just as guests enter the lobby they are welcomed by a magical and modern centrepiece that is highly anticipated by guests as it changes according to the season. This festive season, guests will witness an oversized gilded cage filled with shimmering crystals, white trees, whimsical fairy lights and white peacocks as a symbol of aristocracy and class. The cage will be topped with an oversized bow ribbon representing a gift to the Hotel’s guests. XAYA Design Atelier (pronounced “zaya”) was established by brothers Xaid and Yaxan Chehadeh as an interior and events design studio. The interior designers channel their idiosyncratic ideas, influences and visions from widespread travels across the world, reflective in their all-encompassing variety of sensational and inspiring design books and other trend-setting collections, to form the essentially stimulating beating pulse at their firm. 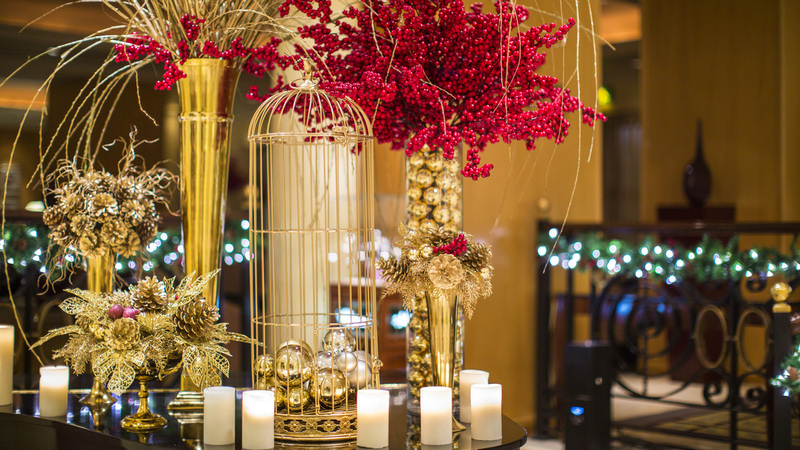 Celebrate the festive season with friends and family at Four Seasons Hotel Amman. Whether it’s for a vacation getaway or to enjoy its diverse culinary experiences, the deeply knowledgeable and dedicated team will ensure a magical stay in the heart of Amman with a full menu of holiday delights. This entry was posted in Arts and Culture, Business, Hotels, Resorts, Travel, Travel Marketing, Travelers and tagged Amman, Design Atelier, Four Seasons Hotel, magical and modern lobby centrepiece, XAYA. Bookmark the permalink.